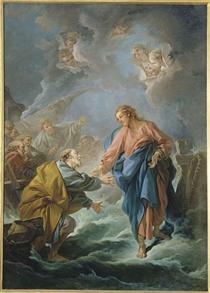 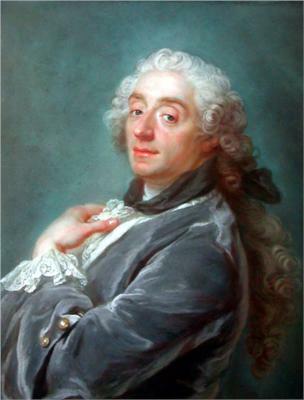 His painting career accelerated rapidly, and he was promoted to the Rector of the Academy, then head of the Royal Gobelins Manufacturing Company, and later First Painter to the King, Louis XV. 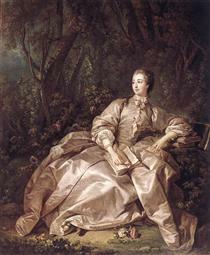 His most prominent during his stay at the court, indeed in his entire career, was Madame de Pompadour, the mistress to King Louis XV, of whom he painted several portraits. 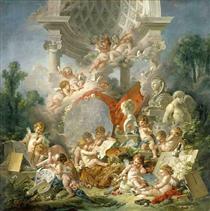 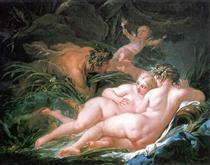 Boucher is also famous for his saying: "La nature est trop verte et mal éclairée" (The nature is too green and badly lit). 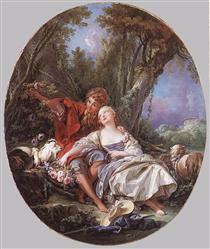 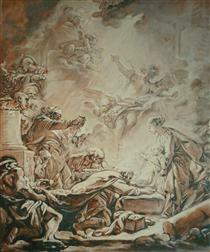 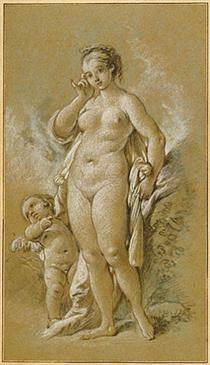 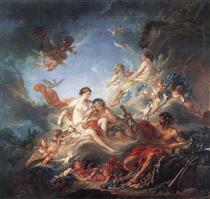 Boucher took inspiration from artists such as Peter Paul Rubens and Antoine Watteau. 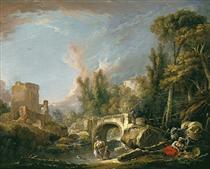 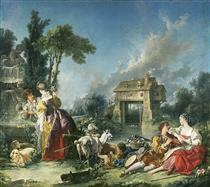 Boucher's early works celebrate the idyllic and tranquil portrayal of nature and landscape with great elan. 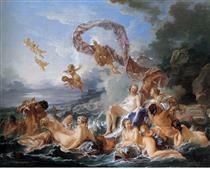 However, his art typically forgoes traditional rural innocence to portray scenes with a definitive style of eroticism as his mythological scenes are passionate and intimately amorous rather than traditionally epic. 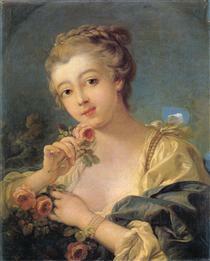 Marquise de Pompadour (mistress of King Louis XV), whose name became synonymous with Rococo art, was a great admirer of his work. 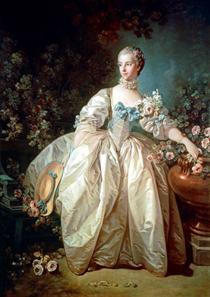 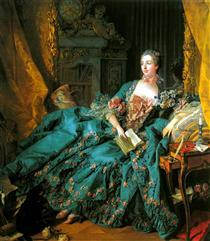 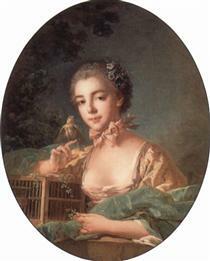 Marquise de Pompadour is often referred to as the "godmother of Rococo."